For over five generations we are a family dedicated to growing olives, grapes and cattle. In our groves, we work devotedly the Picual and Empeltre olive varieties to elaborate a superior extra virgin olive oil, winner of many international competitions and recognized by qualified tasters. 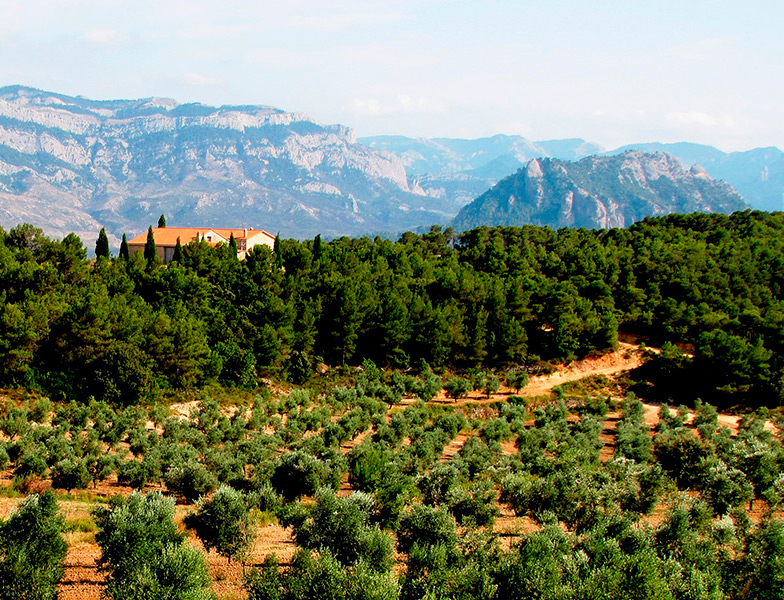 Because of our unwavering commitment to quality and the environment, we apply ORGANIC farming practices protect the forests that surround our cultivation areas, control the grass by grazing horses, practice beekeeping to improve pollition and take rigorously and personally care of all the details of the process, so our production is limited and we bottle oil only from our own olives. It is out of respect to our ancestors and family traditions that we strive to offer excellent products. Our brand MONTSAGRE, which means Sacred Mountain, takes is name from one of the formidable mountains between Horta de Sant Joan and the Ebro River Valley, in the province of Tarragona, and so we pay tribute to the origins of the family and intimate place where we lived for generations.